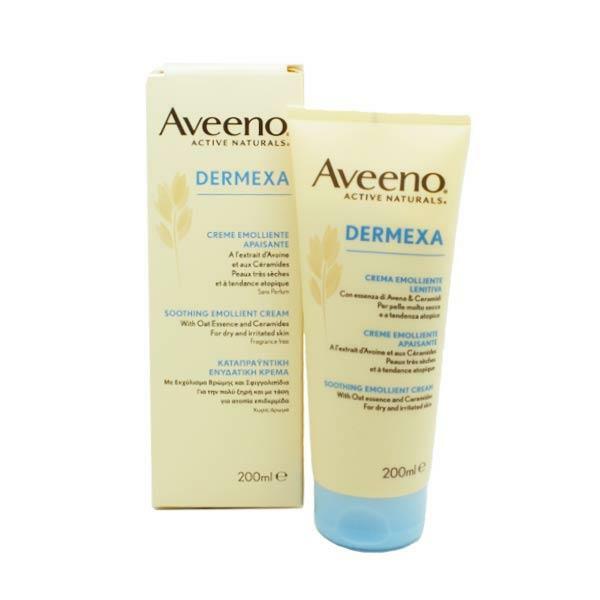 Aveeno Dermaxa Emollient Soothing Cream is designed especially for very dry, sensitive skin which is prone to irritation. Made using Oat essence and Ceramides, it will soothe, moisturise and maintain hydration. The skin is intensely moisturised, and irritation, sensations of tightness and itchiness are reduced. Clinically texted. Fragrance-free, paraben-free. Widely recommended for eczema. Apply twice daily or more often if required. Apply a liberal amount and spread over dry skin areas. Aveeno Dermexa contains Oat Essence and Ceramides (an important lipid essential for maintaining your skin's barrier properties).